Episode 1, "Angel Attack" Episode 1, "Angel Attack"
The above info came from Elwin Blaine Coldiron, and was edited by yours truly (contact me). The image came from omoikane.as.arizona.edu. 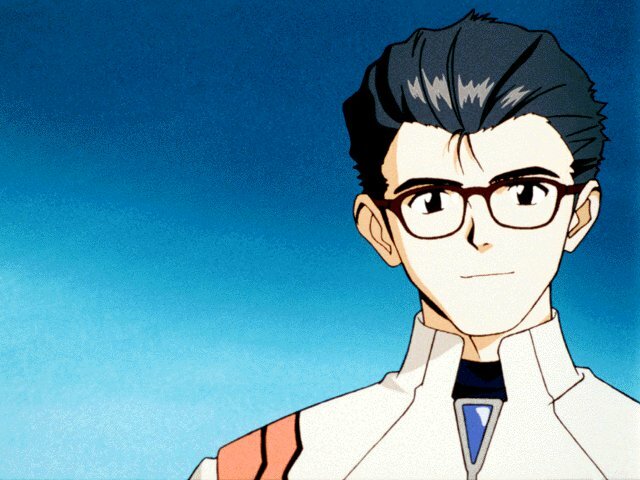 Along with Maya Ibuki and Shigeru Aoba, Makoto Hyuga operates the MAGI computer system for NERV, helping the EVA pilots as the battle the Angels. In his spare time, this bespeckled person likes to read manga. 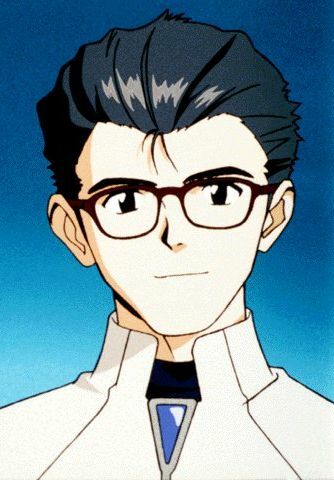 He also has a hopeless attraction to his superior officer Misato Katsuragi.